1.1 The 300T/24H refined wheat flour mill project below is specially designed according to the wheat which belongs to hard wheat type. 1.3 Considering the requirement of environment pretending, we suggest the drying cleaning system which is popular in Europe. At the same time, intensive dampener，which one controlled by PLC for dampening is used to get the average moisture for milling. The technology is 2 sieves, 2 scourers, 1 destoner, 1 dampener, 3 magnetic separators. The clean wheat has the cleaning flow of air channel to ensure the purity of the wheat. All of the machines above are of blocking type. 1.4 In the tropic with wet climate. The clean wheat needs less than 18hours’tempering before going to the mills. 1.5 Economic technology guideline: If producing 1 grade of flour, the extraction rate is 75%, cumulative ash content is 0.54-0.62%. If producing both 2 grades of flour, the extraction rate of grade 1 flour is 50%, and ash 0.43-0.54%; and the extraction rate of grade 2 flour is 28%, and ash 0.62-0.65%. The ash content above is on wet basis. The power cost is no more than 65kw.h/t flour if conventional operation. This data is based on the wheat better than grade 2 from America or Australia. 1.6 Flour is blowed to the packing store which is 120 meters far away. And there is a store for small bag packing which is 20 meters from flour workshop, an electric valve is to distribute the flour to the small bag packing store or 120 meters big bag packing store. Flour is blowed to flour store to pack for keeping workshop clean. 1.7 Pollard and bran are directly push to packed, and all of the by-products which came from cleaning section goes into bran after crushing. 1.9 Flour blowing system is equipped with Worm egg killer, the principle is: adopt High Rotary Speed of machine to break the worm eggs hidden in the flour. After worm egg killer, flour safekeeping time will increase 3 and 5 times than before. The physiognomy drawing of the land for workshop is required in order to help us to do adjustment of the workshop accordingly. This technology is designed according to the customer’s requirement of the crude wheat and flour, so analysis of crude wheat is required. The sample of the crude wheat is required for our testing in order to give the more reasonable design. No less than 1.5kg of each type of crude wheat is suggested to supply for our testing. 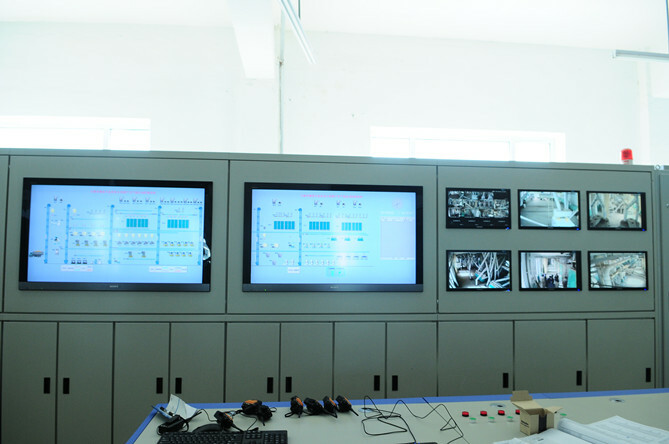 4.1 The first week after installation is commissioning period, the capacity is 280T/24H. The second week, the capacity testing is up to 320T/24h. The normal capacity is 300T/24h. 4.2 The production getting rate: read 1,1,1.5; the production disposal: read 1,1,1.6. 1. The customer should be responsible for the civil engineering and the groundwork. Water and 3 phase electricity for construction and installation, hoist and fork vehicle for load and unload of the machines, 12-15 installing technicians who can speak frequently English should be prepared by the customer. We will be responsible for 1 installing engineer, 5 installing technicians and installing tools, installing stuff, tools for welding and cutting which is necessary for the installation of the machine. 2. The quotation includes whole set of main equipment, accessory equipment, and the cables, wires and pipes belongs to machines. We are responsible for the cables between grade 2 switchboard and machines, not for the cables between grade 2 switchboard to grade 1 switchboard and to transformer. Automatically display raw wheat, clean wheat, flour, pollard, bran instant flowing quantity. Automatically display raw wheat, clean wheat, flour, pollard, bran instant flowing percentage. Automatically display raw wheat, clean wheat, flour, pollard, bran add up flowing percentage in a fixed time. 4.Equipment list and the technical reference for the main equipment. 4. Worker: every shift(8 hours)----1 worker in PLC controlling room, 1 worker in flour section, 1 worker in cleaning section,2 workers for packing. Other workers for transfer of crude wheat and product is not including in this.